Kingman–In an effort to save more lives on Arizona’s roadways this month, the Governor’s Office of Highway Safety is partnering with Kingman Police Department and other local law enforcement agencies to enforce Arizona’s seat belt and child safety seat laws. 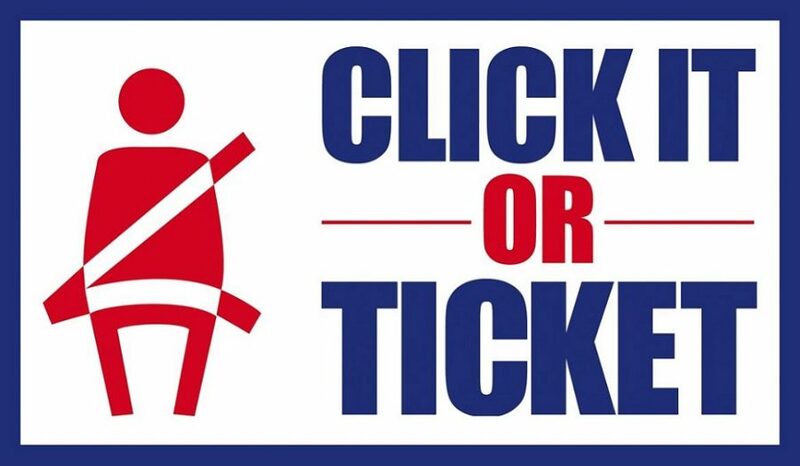 As part of a the national “Click It or Ticket” seat belt enforcement campaign, law enforcement agencies across the state will be stepping up traffic enforcement patrols and increasing other enforcement efforts to drive home the message: Buckle Up Arizona…It’s the Law! The enforcement mobilization will run from May 21 through June 3. Arizona presently conducts enforcement under a secondary seat belt law and a primary child safety seat law. The enforcement campaign is based upon high visibility traffic enforcement with a “zero-tolerance” approach towards seat belt and child safety seat usage. Despite widespread efforts to educate drivers about the importance of wearing seat belts, motor vehicles collisions continue to be the leading cause of death and serious injuries to the citizens of our state. The proper and consistent use of child safety seats has been found to reduce the risk of fatal injury by 71 percent for infants (younger than a year old) and by 54 percent for toddlers (1 to 4-years-old) in passenger cars. Properly installed booster seats reduce the risk for serious injury by 45 percent among children ages 4 to 8 years old. Regular seat belt use is the single most effective way to protect people and reduce fatalities in motor vehicle crashes. When worn correctly, seat belts have proven to reduce serious crash-related injuries and deaths by about 50 percent. Funding for the campaign was provided by the Governor’s Office of Highway Safety. I am very encouraged about this effort to support safety in our tate. What is not clear to me i why we do not have this same concern with our children who ride school buses?